Giant Inflatables has been in the inflatables business for almost two decades, but it hasn't always been smooth sailing. Director and founder of Giant Inflatables David Abramowitch has told of the times the business has undergone serious slow months, being saved by one or two big orders. Now, David has embarked on a comprehensive Marketing Strategy which incorporates social media. Social media has been a hot topic at Giant Inflatables over the past couple of years. Two years ago, we asked ourselves how we could reach more customers and showcase our products more successfully. The answer was, you guessed it, social media. 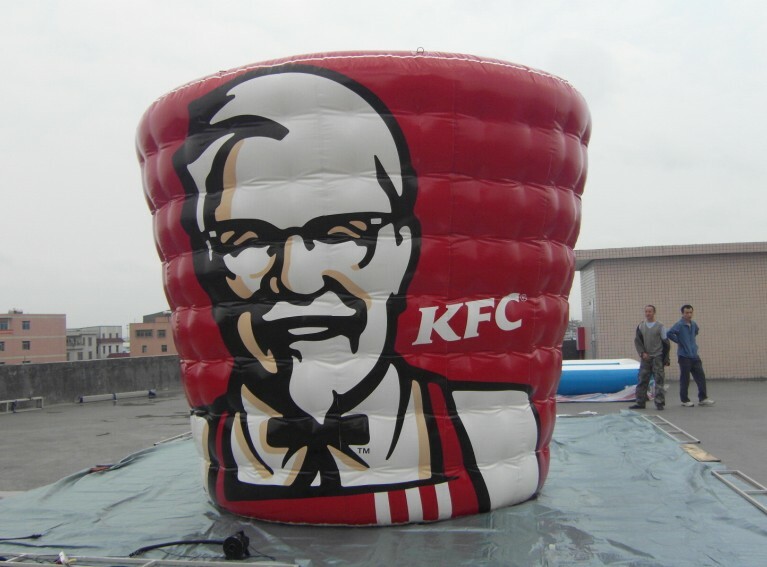 Facebook, Instagram, Google+, Twitter, LinkedIn, Pinterest and many more helped us shape Giant Inflatables into the well known and trusted name that we are today. Our first step was to put a marketing strategy in place This clarified for us, firstly, what we are good at and, secondly, who our customers are. 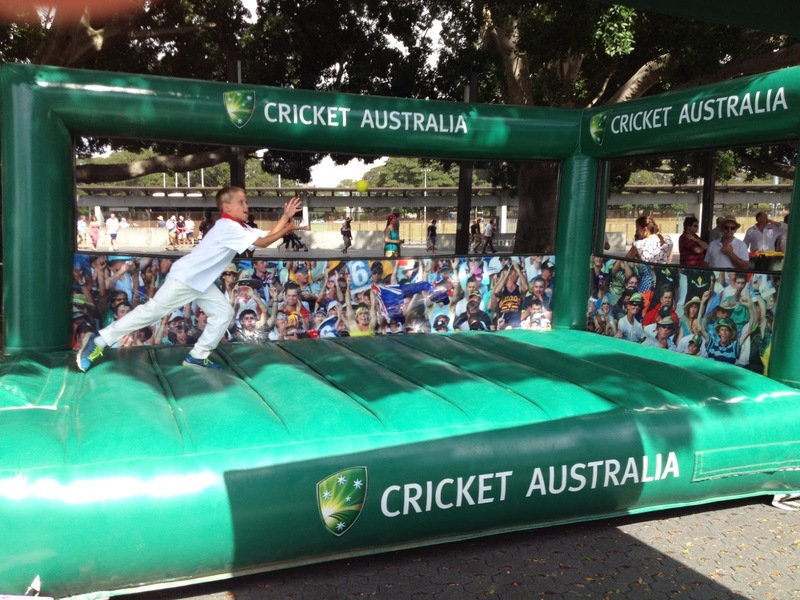 Giant inflatables are the Number 1 sports inflatable supplier and, therefore, it is appropriate that we supply most Elite Sports Clubs and Organisations like Cricket Australia generally, as well as KFC BBL T20 teams with the WOW ! factor to engage their fans and promote their sponsors. 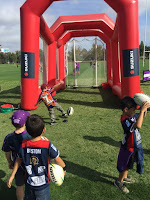 AFL Victoria has just appointed Giant Inflatables as its exclusive inflatable supplier, reinforcing our Tried, Tested and Trusted Triple T Reputation which comes from close to 20 years of experience in the industry which makes us the No. 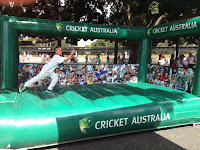 1 Sports Inflatables Supplier. 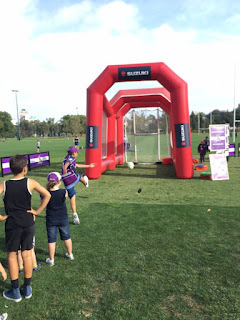 Giant Inflatables has been working closely with Netball Australia to grow its roots level membership from NetSetGO to the ANZ Championships. In fact The Fast 5 netball World Series (equivalent to T20 BBL in cricket) will be held this year at AAMI Stadium. 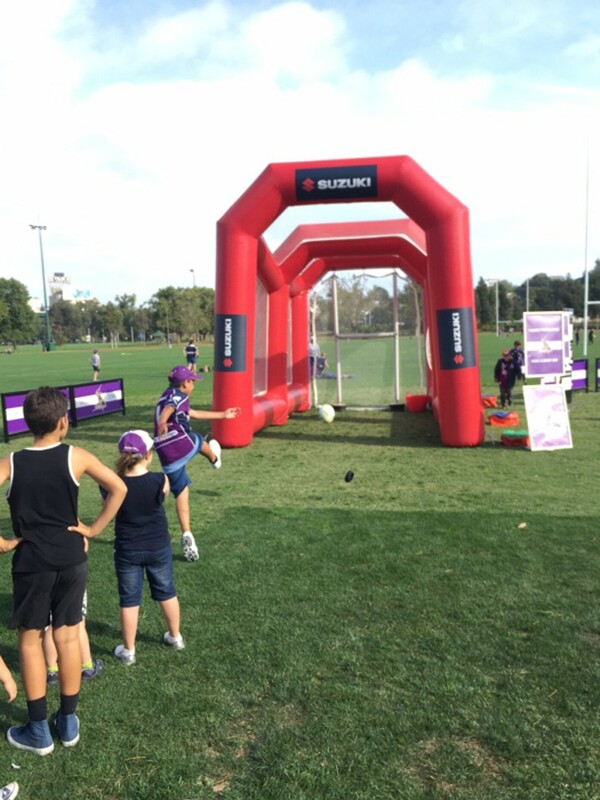 Netball Australia and the Vixens have seen the powerful pull of Giant Inflatable Sports activations. With the NRL Season in full swing its not surprising that the Melbourne Storm, together with their sponsor Suzuki, have a Giant Inflatable Fan Engagement Activation set up at their games held at AAMI Stadium. 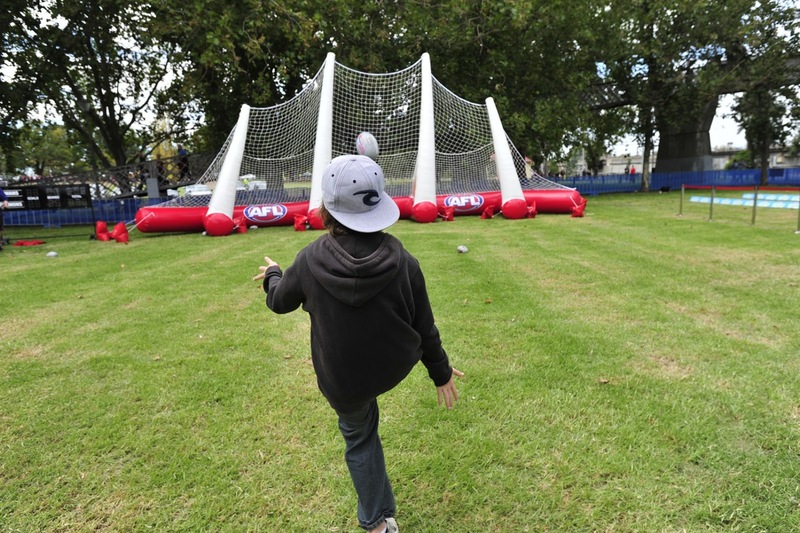 Make your way down to AAMI Stadium this Saturday 2 April and see the game and enjoy the amazing Goal Kicking Enclosure. Take a picture of yourself and post it on our Facebook page for your chance to win tickets to one of your teams games. So ask yourself, if your favourite sports teams and clubs trust Giant Inflatables to make sure their Event Day has that "larger than life" Wow Factor ! that is transportable, safe and easy to use, don't you think it is time to appoint us as your No. 1 Inflatable Sports Supplier?